Yuika felt Ayano's leg and discovered how much she liked a badminton star's muscles. We started to get an idea of Ayano's backstory and why she quit badminton. 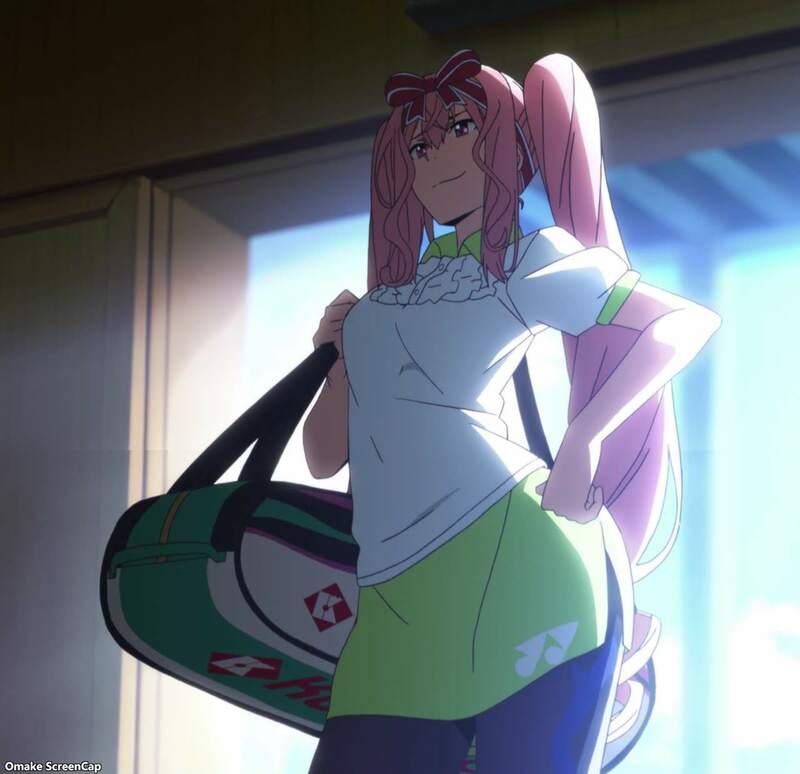 Her mother, a badminton superstar, left her after a challenging loss and then Ayano found out she was training another girl to be the next badminton superstar. Elena gets along pretty well with the boy crazy Noriko who only joined the tennis club to be near the school prince. Kaoruko, the one who defeated a young Ayano by giving her the same cold she had, visited her old rival to see if she still could play badminton. She quickly became a fan of Coach Kentarou.